Industrial music has gone through multiple incarnations and mutations over the years, but one of the most interesting is its fascination with the winding pathways of occult-flavored psychedelia. Enter Automat and their new self-titled album. 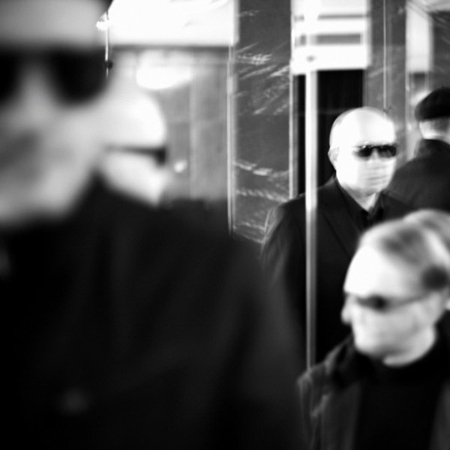 Formed at the end of 2011, Automat consists of Jochen Arbeit of Die Haut and Einstürzende Neubauten, Project Pitchfork’s Achim Färber and bassist/radio playwright zeitblom—a pretty heavy duty roster made even more impressive with contributions from Lydia Lunch, Blixa Bargeld and the one and only Genesis Breyer P-Orridge, featured here in the video for “Mount Tamalpais”.